Jonathan-Omo, who was the Deputy Campaign Director General of Sylva/Igiri Campaign Organisation during the 2016 governorship election, fell from the balcony of his two-storey building in his hometown in Beleu-Pogo in Ogbolomabiri, Nembe Local Government Area of the state. The party chieftain was said to be relaxing on the balcony when he started feeling dizzy. He was trying to get up with the aid of a pillar close to him when he fell off. The politician’s close associate revealed that the fatal fall from the balcony was discovered by his wife after she heard the sound from the kitchen. 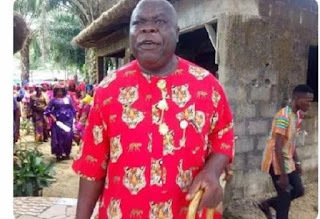 A leader of the All Progressives Congress, APC, and a former Commissioner in Bayelsa State, Chief Lionel Jonathan-Omo, is dead. He was immediately rushed to a hospital in the state where doctors were said to have advised that he be taken to the University of PortHarcourt Teaching Hospital in Rivers State. Reacting to the development, APC described the death of Jonathan-Omo as an “indescribable loss” of a wonderful ally at a time his experience and energy were most needed. In a statement in Yenagoa on Thursday by the State Publicity Secretary of the APC , Mr Doifie Buokoribo, the party said Jonathan-Omo, who died on Thursday was a forthright politician, and an illustrious son of Bayelsa State and the Ijaw nation who partook in popular activities to better the lives of his people. Buokoribo said, “Jonathan -Omo broke his limbs in a fall and fought bravely for his life at a private hospital in Port Harcourt to recover from the injuries he sustained. He never survived them. “The chief died on Thursday after an unsuccessful operation. All of us had hoped that Jonathan-Omo would recover from his injuries and get on with his life, particularly, at this time of intense political activities in our state and country when his experience and wisdom are seriously needed. “Lionel Jonathan-Omo, who is from Nembe, trained as a lawyer and taught Law at the Rivers State University of Science and Technology for several years. “He was a former commissioner in Bayelsa State. “He was also a delegate representing the state at the 2005 National Political Reform Conference. Until his death, he was a member of the APC. During the 2015 – 2016 governorship elections, he was the Deputy Director General of the Sylva / Igiri Campaign Organization.